When you think of your favourite biscuit what do you think of? It should be something tasty and nutritious for any occasion, whether it is a snack, dessert, or a part of a bigger meal. For a great number of people in Central and Eastern Europe that's Plazma (in Western Europe and America exported under the name Lane), biscuit brand produced by Bambi, confectionery Company from Serbia. Bambi food manufacturing company is stationed in Požarevac, Serbia. They're holders of HACCP and HALAL certificates, and ever since 1967, when it was founded, they proudly state their use of only the best ingredients in their biscuits. That same year the company started production of their now famous Plazma biscuit, and today it is the best-selling biscuit brand in Serbia. Plazma is known as a biscuit made for and consumed by children, mainly because of its nutritive significance. Over time, it established itself as a high quality snack, meal replacement in combination with milk, suitable for all ages and usage occasions, but also as an indispensable ingredient for desserts. Celebrating its 50th anniversary this year, Plazma is the most beloved biscuit of the abovementioned region. Today, Plazma is an umbrella brand, covering a range of products and usage occasions. Plazma Orginal includes original Plazma biscuits packed in different packs sizes (from 75 to 600g), but also special range of SKUs that cover specific need states (Lenten, Diet, Plus). Plazma Original biscuits are loved for their unique taste and shape, and used in every possible occasion – as a light treat, a snack between meals, as a meal with or without milk, alone or with family and close friends. Plazma Ground, grounded version of favourite biscuits, is used primarily with milk as a meal replacement, but has also become an irreplaceable ingredient for cakes and desserts. The third big group is added value biscuits, which add new dynamism and engagement to the brand, expand need states and consumption occasions for Plazma. “Leader” of the group is Plazma Mini Mini (plain and Choco), a newly reintroduced sub brand intended primarily for school kids, as it is fun in shape and communication, but also fits into their pocket money. Other “members” include Plazma Mini and Choco (a light treat for OTG or sharing), Plazma Milky Sandwich (Serbia’s first nutritive sandwich biscuit; favourite Plazma and milk combination now available for OTG), Plazma XXL (the biggest Plazma ever, single biscuit with milk chocolate coating for a quick treat), Plazma Toddler shaped biscuits. Plazma is now part of the family, but also national tradition, it is a mega brand, a love mark. Majority of the Serbian population grew up on Plazma. Plazma is a leader, an innovator on the market, dynamic and modern brand with a strong tradition and legacy of 50 years. 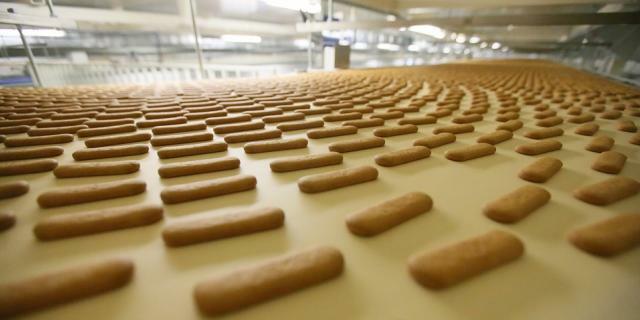 Fox's Biscuits is one of the biggest biscuit brands in the UK. They started with a tiny bakery in northern England over 160 years ago. bon o bon is one of the most famous brands of the Argentina-based company Arcor. A friendly, affectionate, simple and daily brand. A brand to share.